We are the best shop for bike rental in Sun Valley! Our outdoor shop is run by enthusiasts for enthusiasts. To that end, we believe the best way to enjoy the mountains is with the best gear. Good equipment will make your trip more satisfying because you aren’t cold, wet or hungry. The right gear also allows you to camp and travel with minimal impact on the land, allowing more people to enjoy the wonderful spots we have in the mountains of Central Idaho. We rent full suspension mountain bikes, cruiser bikes, bike trailers. Our fleet of mountain and cruiser bikes are from PIVOT & FELT. This years’ trail bikes include the all new Mach 4, Mach 429 trail, Mach 5.5, Switchblade and the Phoenix. We also have comfort bikes for a cruise along the bike path. Looking for more outdoor adventure in Sun Valley? Click here for all activities in Sun Valley! Q When does the bike rental period start? Bicycle half day rate time is any 4 hour period, full day rate time is a 24 hour period. 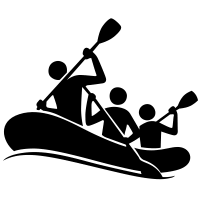 Q What does a kayak rental include? 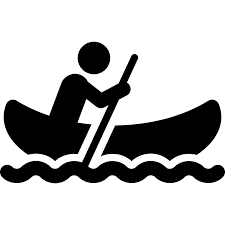 Kayak rental includes paddle, helmet, skirt, flotation, life jacket, pump (if applicable). Q What does a raft rental include? Rowing Package: Frame, 3 oars, 3 vests, Cooler, Repair kit, Pump, Straps, Drybox. Paddle Package: Up to 8 paddles, 8 vests, Repair Kit, Pump. Q What time do winter rentals start? Skating & snowshoe 1/2 day = any 4 hour period. Touring 1/2 day starts at 1pm. Full day rentals are from 9-6 with 1 overnight courtesy.